The theme for the Cluster Frame Challenge at Creative Addictions for August is Back to School. Here is a tag made with one of the cluster frames that will be available exclusively on the Creative Addictions Blog. Well, I now officially have a website. These are fantastic products! You can order online now! Whoot. 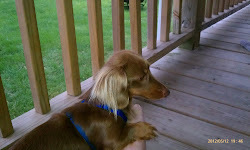 July Cluster Frames posted at Creative Addictions! Hey everyone! 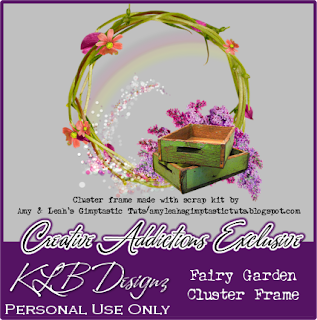 My Exclusive Cluster Frames are posted on the Creative Addictions blog now! Whoot! Here's a sample of one of them. Well, I took the plunge and became a Tastefully Simple Consultant. Since I'm just starting out, I don't have a website quite yet, but I will by the end of the month. In the meantime, check out my Facebook page for more information on my business and to contact me about ordering or if you are in the Indianapolis area, contact me about a tasting party! They are sooooooo fun and the products are phenomenal. 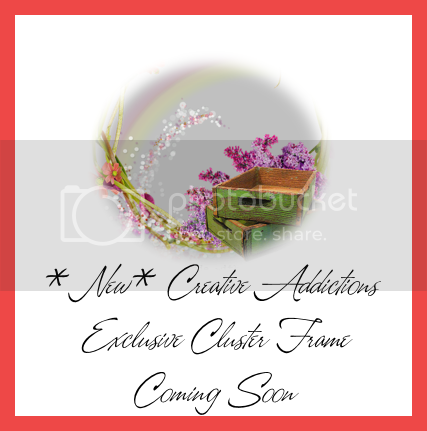 More new Creative Addictions exclusive cluster frames coming in early August!! I can't wait to share them with you!! 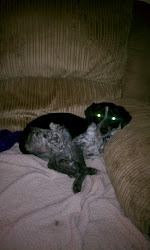 Take my blinkie and post it on your website. I really appreciate it! My new make over for Summer 2013 and beyond. I'm diggin' the new me. I'm a 43 year old married mother of 2. One child lives at home and one is married and out of my house! Just kidding. He lives close by so I get to see him often. I have an addiction and it is called Tastefully Simple. :) I am an independent consultant and just LOVE having my own business. I am always looking for new team members. I am thoroughly excited to tell you all about it and how you can make your dreams come true with Tastefully Simple just like I have. 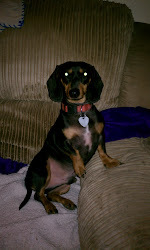 My sweet old girl that we lost on February 14, 2012. My background, header and other elements were made using scrap kit Summer Bliss by Gothic Inspirations, http://gothicinspirations.blogspot.com. ©Valerie Atwell, KLB Designz. Travel theme. Powered by Blogger.